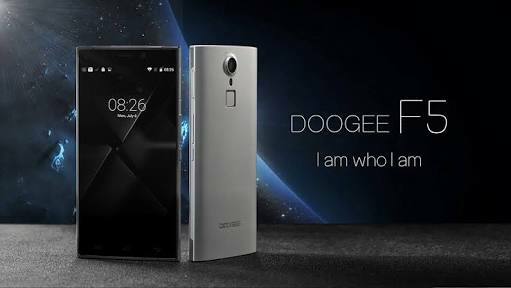 Doogee F5 offers FHD display, 3GB RAM, 13MP camera, octa-core CPU at sub-Php 5K price. The Doogee F5 is now official hitting the sub-Php 5K category. The handset sports a 5.5-inch full HD display treated with Gorilla Glass 3; and is powered by 1.3GHz octa-core processor. And if you think the Doogee F5 is a steal buy, wait for it until you see the rest of the specs. The handset ticks with 3GB of RAM and is loaded with 16GB expandable storage. When it comes to the camera, it isn't shabby with the 13MP rear sensor with autofocus, LED flash; and 5MP selfie camera. The rest of the specs include the fingerprint sensor and dual-SIM capability. If you're cool with it booting with Android 5.1 Lollipop, then the Doogee F5 is perfect for you. You can get it in Lazada at Php 4690.